"Baby Boy" is a R&B–reggae song by American singer Beyoncé Knowles. It features a reggae toast by Jamaican artist Sean Paul. The track was produced by Knowles and Scott Storch for her debut solo album Dangerously in Love. 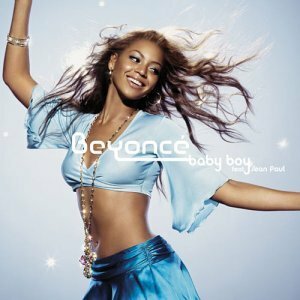 "Baby Boy" was written by Knowles, Storch, Robert Waller, Jay-Z and Sean Paul. "Baby Boy" was released on October 14, 2003 in the United States as the second single from the album. The single was a commercial success, and topped the US Singles Chart for nine consecutive weeks. It was certified platinum in the US, and was Knowles' longest-running solo number-one single until Irreplaceable who topped for ten consecutive weeks . "Baby Boy" performed well internationally, reaching the top ten in many countries, and achieving platinum status in Australia. The song has been praised by both critics and music industry personnel. "Baby Boy" remains a staple of Knowles' concert set list. The American Society of Composers, Authors, and Publishers recognized it at the 2005 Pop Music Awards as one of the most performed songs of the year. In 2005, US singer-songwriter Jennifer Armour filed a copyright infringement lawsuit claiming that Knowles had used the primary musical hook from her song "Got a Little Bit of Love for You". It was settled in favor of Knowles.